My life line has been nonlinear; strange coincidences, pure chaos, new beginnings and ends. Like weird scene inside goldmine! Maybe that is the reason why I found music of Mournful Lines and became fan of ML music immediately. My musical journey started at age of 8 with accordion lessons. I played lots of different kinds of stuff: Finnish schlagers, folk music, Russian ballads and classical music. It was so much fun! Iron Maiden, Metallica, Van Halen, Def Leppard and all of those great 80s metal bands changed my musical world. I was a teenager in the 80s. Heavy metal was a huge thing back then. Because of Eddie Van Halen I picked up the guitar and learnt some basic staff. Inspired by Iron Maiden we set up band called Acid Rain. We even played some gigs. Lots of crazy things happened! Oh man, those were the years! During the years I have been playing in various cover bands and different kind of projects. And of course in Mournful Lines. Mournful Lines is all about sorrow, darkness and love, but it also is a feast of friends! I love metal in every form and style, especially HIM, Nightwish, Sentenced and Stratovarius among others. Still all-time greatest band is of course The Beatles! Jimi Hendrix, Led Zeppelin and Black Sabbath are forming some kind of trinity for me. Frank Zappa, Pink Floyd, King Crimson, Yes, Camel and 1970s prog-rock is just great stuff. And of course, there is Dream Theatre and metal-prog. List of my favorites is endless: Steve Vai, Yngwie Malmsteen, Mattias IA Eklundh, Eric Johnson, Joe Pass, Charlie Parker, Miles Davis, John Coltrane, John Scofield, Larry Carlton, Chet Atkins, Tommy Emmanuel, Brad Paisley, Jarmo Hynninen, Timo Käsmä etc. Peace and Love! Remember feed your head! Motto: “the free soul is rare, but you know it when you see it – basically because you feel good, very good, when you are near or with them.” –Charles Bukowski. Musical history: Never ending story. 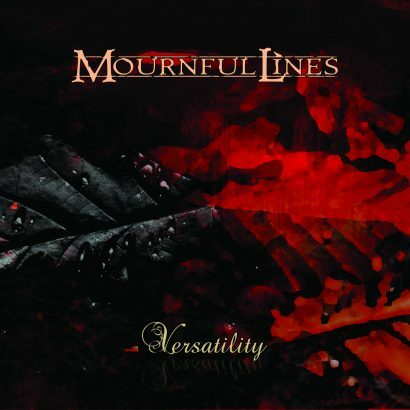 Favourite Mournful Lines song(s): Two Souls One Heart, Confine me, Bleed for you, Crystal Clear, Envy, See through etc. Occupation: Student of Early childhood education and psychology. 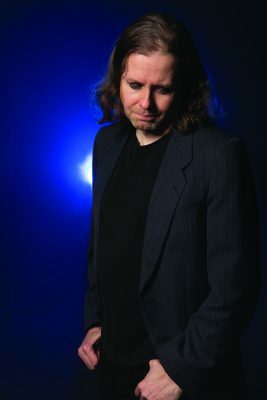 Influences: The Beatles, The Who, Steve Vai, Frank Zappa, Dream Theatre, HIM, Nightwish to name only a few.